Welcome to Maplewood is Green! Maplewood is Green is your single, go-to place for all things green. Whether you are a local resident, business owner, council member, or service provider, you will find everything you need to go green—and stay green. AND LEARN ABOUT YOUR FRIENDS AND NEIGHBORS WHO ARE DOING THE SAME. 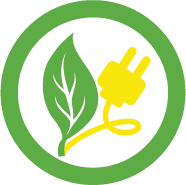 Maplewoodians are committed to saving on energy consumption in our homes and transportation, making smart food and other product choices, recycling whenever possible, going local with services, and finding green alternatives at every turn. But, most of all Maplewood Is Green reflects our devotion to ensuring sustainability for future generations. rahway river cleanup and community picnic may 4th 10 am-2 pm.